It’s on a Monday afternoon when I open my mailbox and received an invite from Visit Norway. 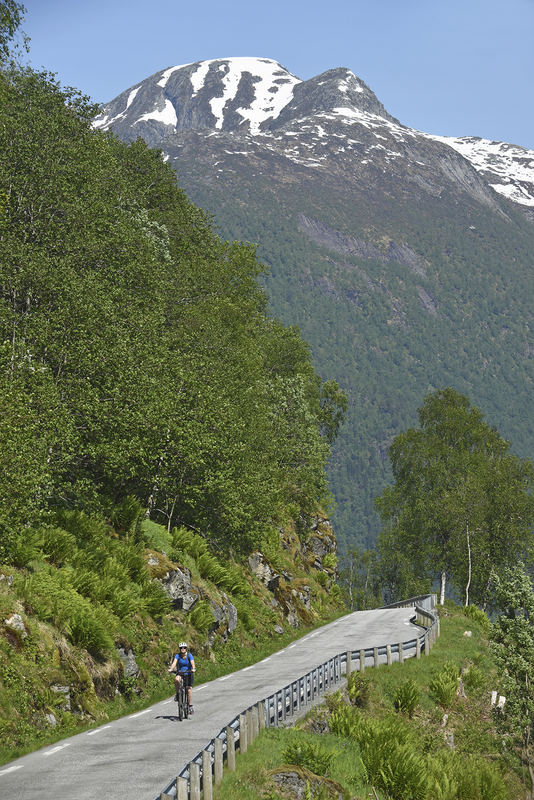 If I’d like to come biking in Norway. In two weeks time. My agenda is usually quite full, but for a bike trip in Norway I don’t mind shuffling my appointments and work around for a little bit. 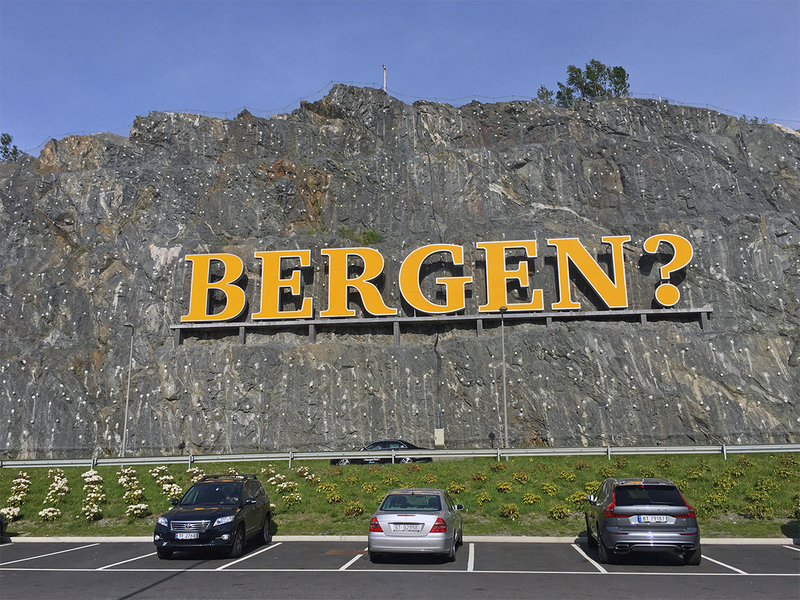 After making some phone calls, I manage to free six days in my schedule and two weeks later, I board the plan to Bergen to go biking in Norway. 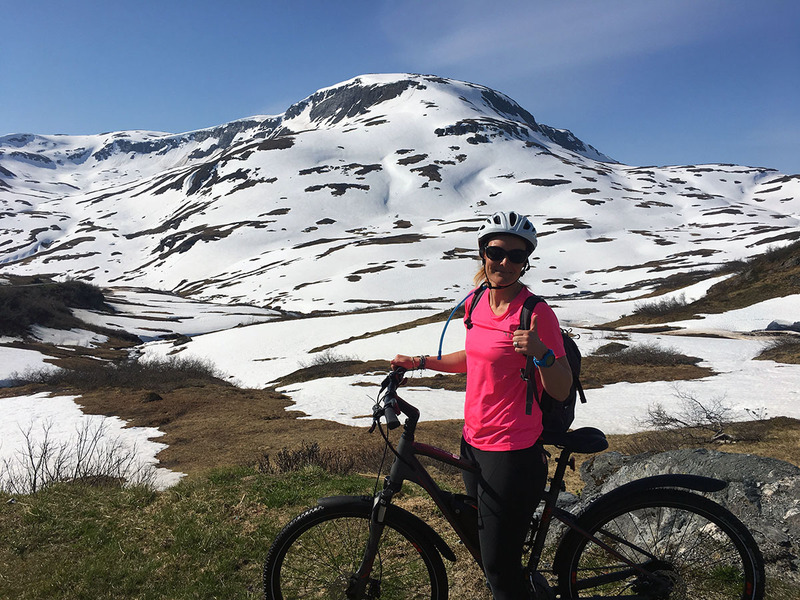 Bike the Fjords is an initiative of Marta and her husband Sigbjørn. They are living in the Norwegian town of Voss with their family, which is located some 100 kilometers from the city of Bergen. 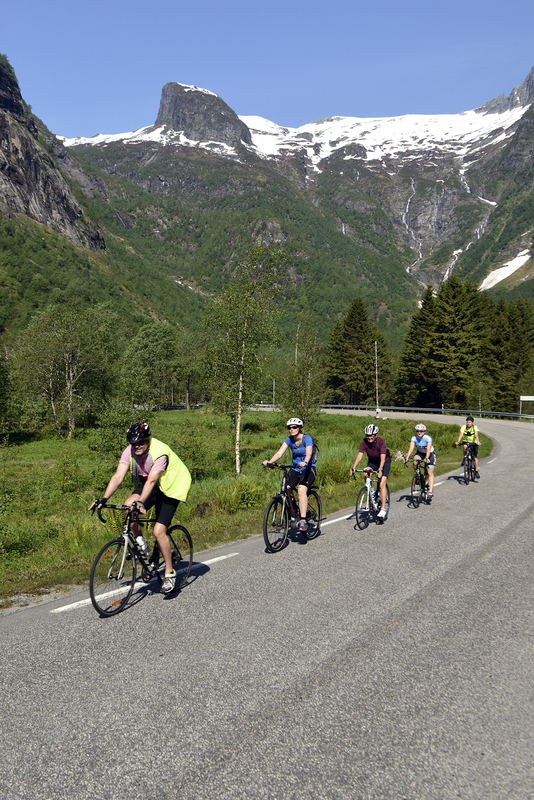 From their passion for biking they started Bike the Fjords, a company that specializes in biking tours in Fjord Norway. 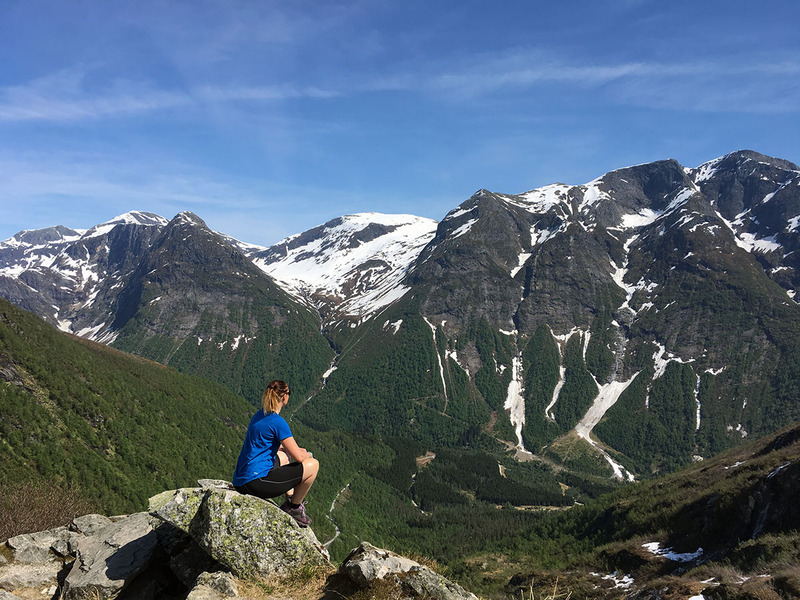 They have both individual and group tours in Hardanger en Nærøyfjord, offer a hike & bike combinatie to Trolltunga and also organize day tours in and around the town of Voss. The tour I’m about to make with fellow journalists and bloggers is a new trip that they want to develop for next season. 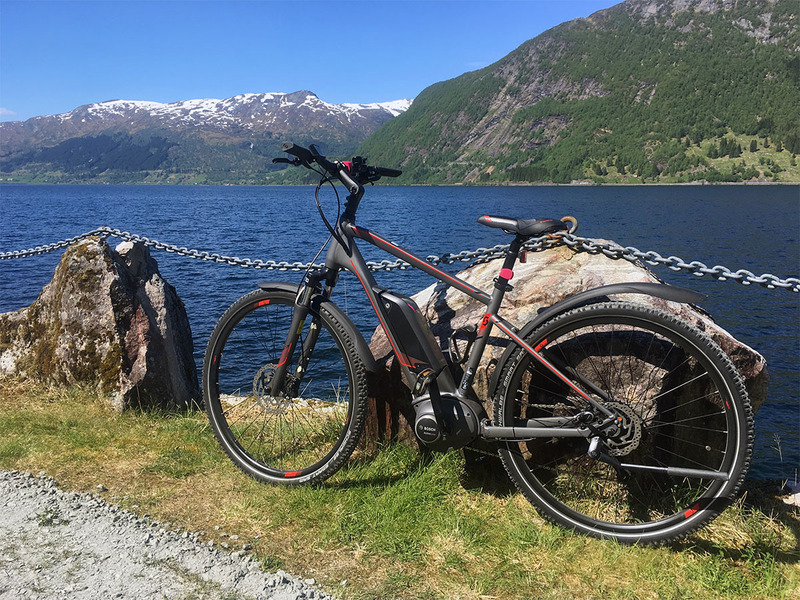 Bike the Fjords rents out hybride and road bikes, as well as e-bikes. 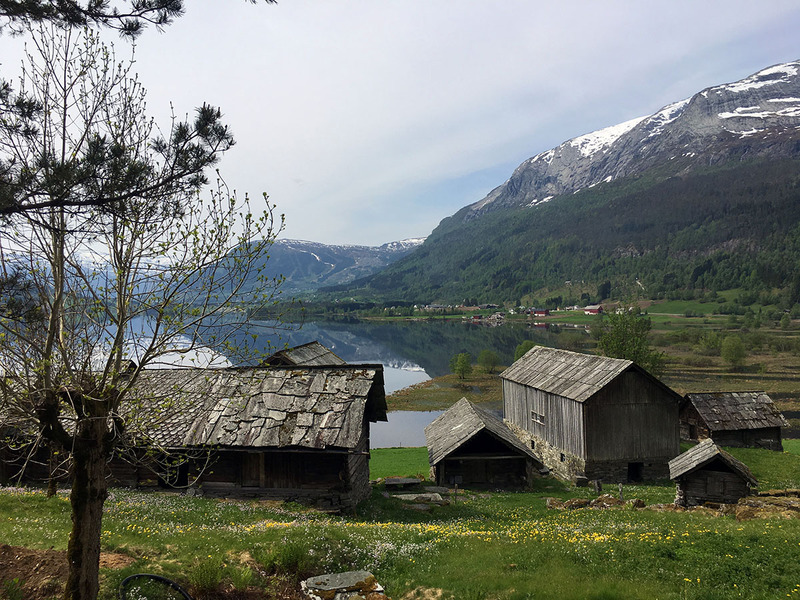 In this blog you will not only read my day-to-day description of this beautiful tour, but also plenty of tips and tricks for biking in Norway, great accommodations and more. Enjoy reading! I’ve been to Norway twice before and the first time I also flew to Bergen. 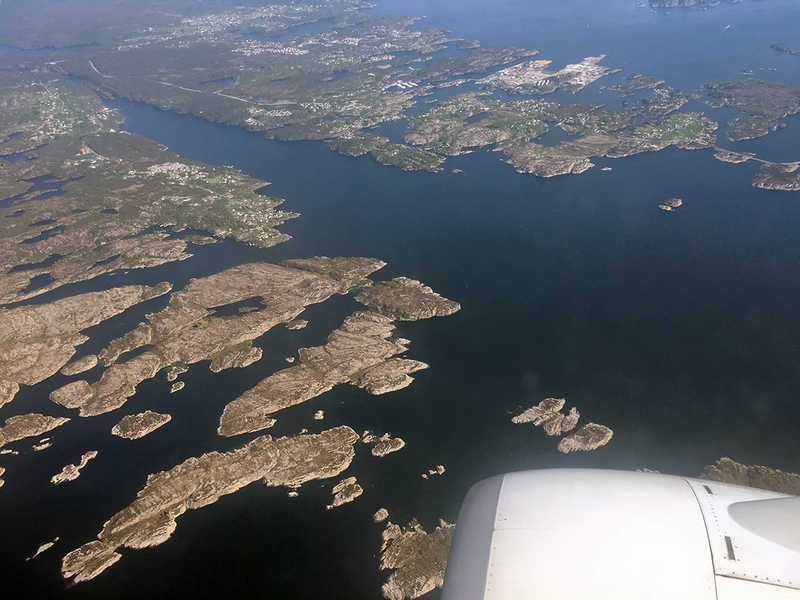 I had almost forgotten how pretty it is to arrive along the coastline of Fjord Norway. Below me I can see tiny red houses on the islands and far away in the distance I see the ice of the Folgefonna glacier, the southernmost glacier in Norway. After landing we are being picked up by Asgeir from Fjord Norway, who will drive the car behind us with our luggage, snacks, spare parts and anything else we may need along the way. I wake up with a funny feeling in my stomach: the feeling that adventure is around the corner. Even though that it never really got dark during the night, I slept quite well. After a tasty breakfast it’s time to pick up our bikes. 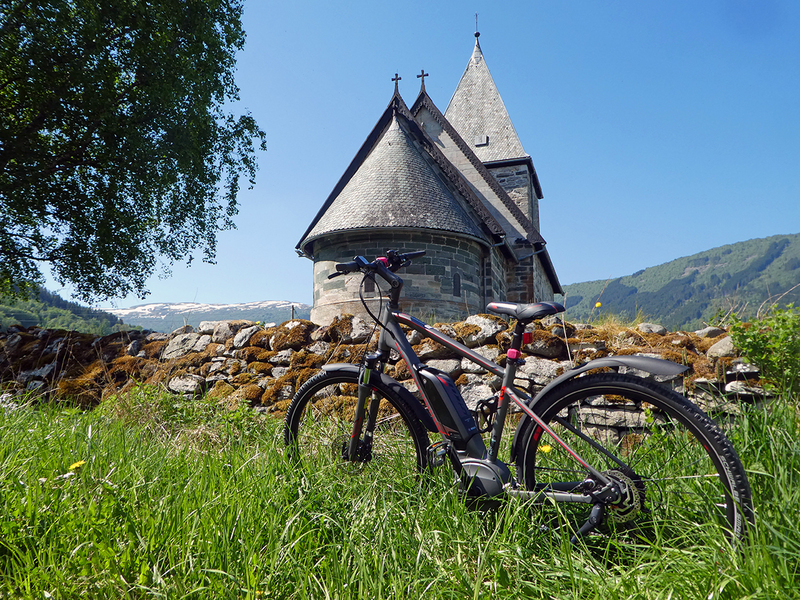 We are transferred to the city center of Voss and our bikes are already ready for us. I get a Scott Hybrid bike that is brand new. After testing and making some minor adjustments I’m ready to go biking in Norway. And so off we go! 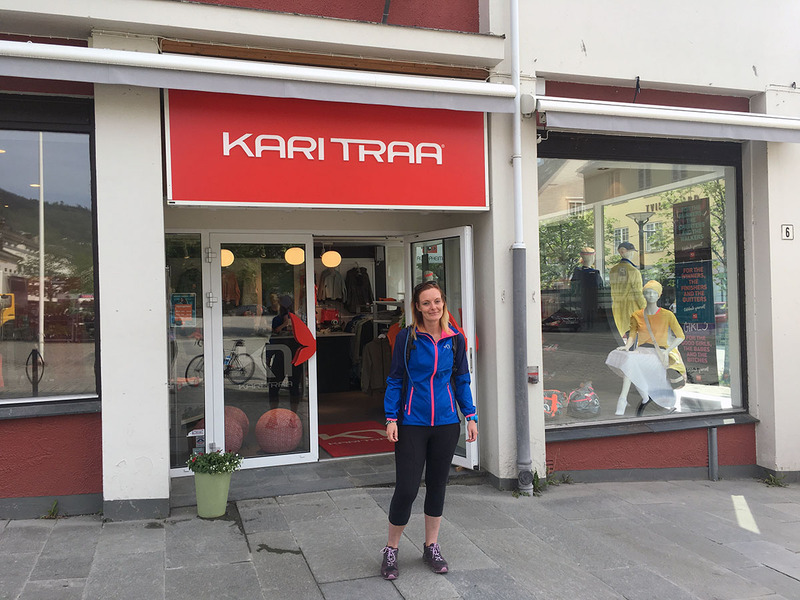 The first stop is not a whole lot further as Kari Traa is from Voss and she has her own clothes store here. 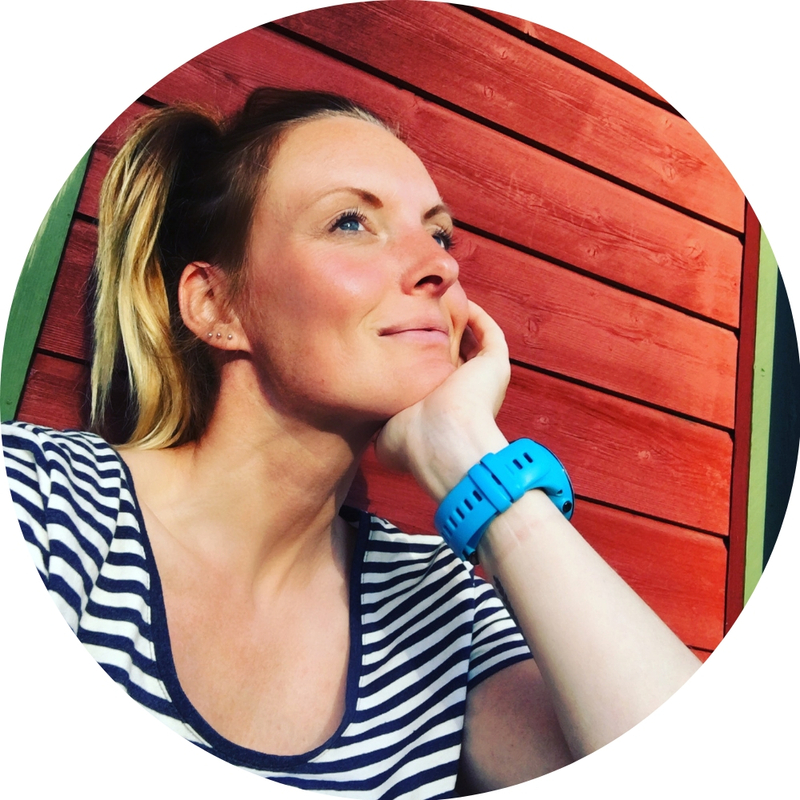 She’s a Norwegian athlete that has her own clothing brand for adventurous women and I’m her ambassador in The Netherlands. Unfortunately she is not around, yet I still take a look in the store. And ofcourse I buy something because one can never have enough outdoor clothes, right? Some fifteen minutes later it’s really time to go. 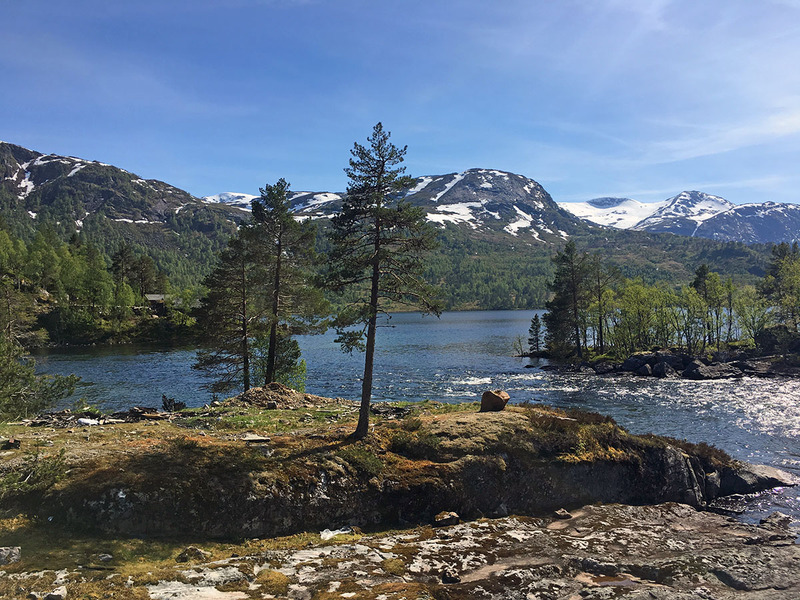 We leave Voss on the main and busy road and not a whole lot later we arrive at Lønavatnet and the smaller Vetlavatnet, two lakes on the way from Voss to Myrkdalen. We make some short breaks and soon reach the first real sight of today, the Tvindefossen waterfall. This one plummets into the depth 150 meters below and it’s quite spectacular sight. 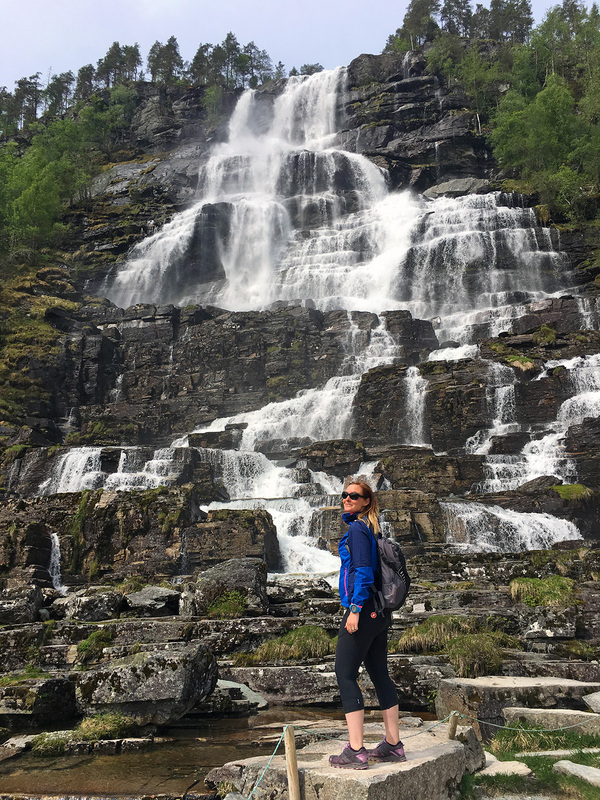 It’s not too busy and Marta tells us she knows a hidden walk to the top of the waterfall. Almost nobody knows it but … I’m about to tell you how to find it! When you have your back towards the waterfall, you take the way up on your left. Take the car, because it’s steep and windy. After some sharp curves you will see a path in a corner, this is where the 10-15 minute walk to the base of the waterfall starts. Follow this trail and soon you will arrive at the Tvindefossen base. Be careful though as there are very steep drop offs and no fences to protect you from falling! After our stop at Tvindefossen we load the bikes into the van as the next part of the way is pretty busy and biking here is not ideal. 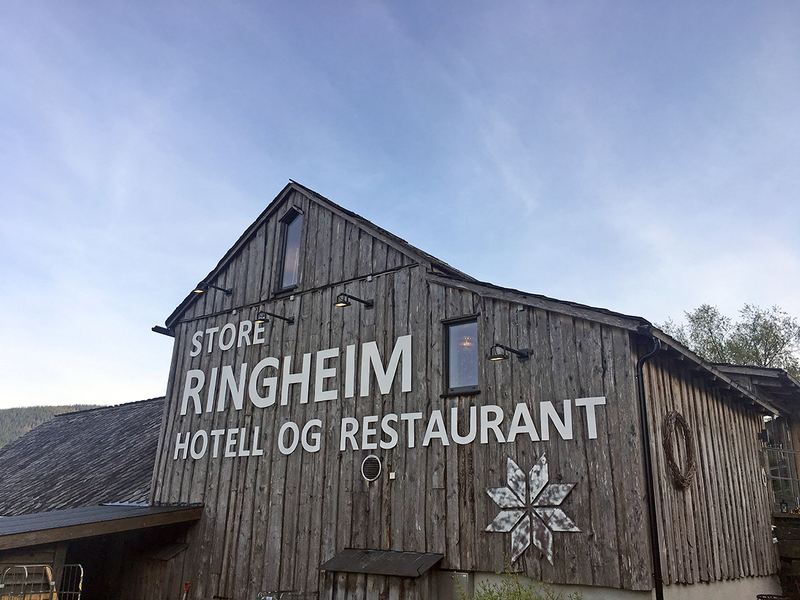 It’s close to lunch time and Marta and Asgeir suggest for us to have lunch at the beautiful and historical Stalheim Hotel. 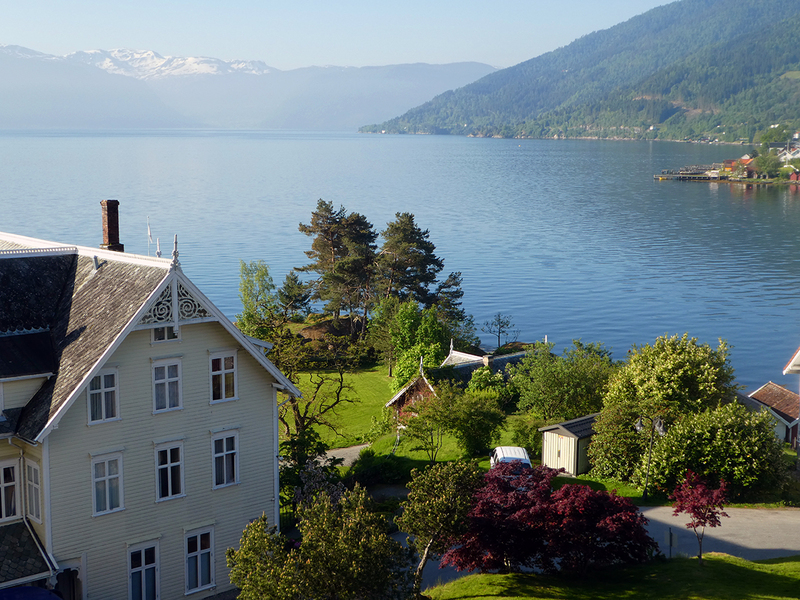 This hotel is almost 200 years old and offers an amazing view into the Nærøyvalley from the top of the hill. We enjoy a generous buffet style lunch before leaving again. 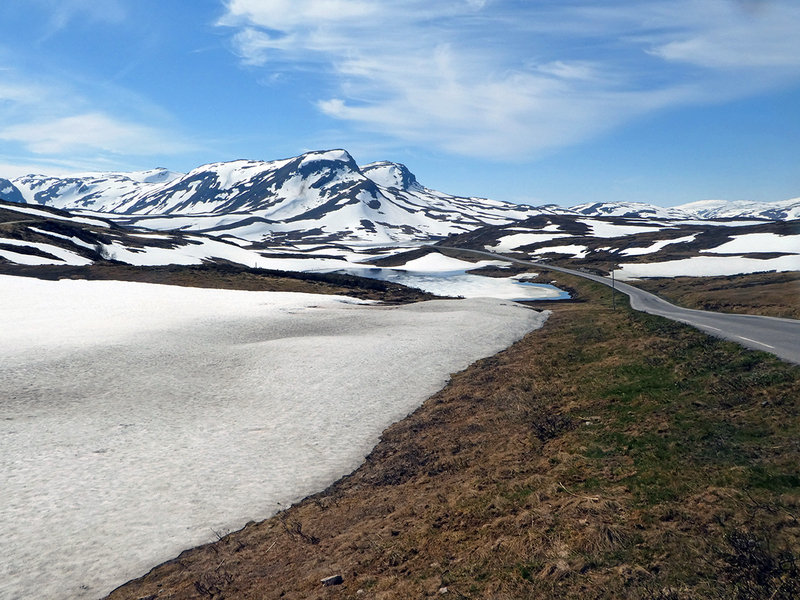 After the tour back down on Stalheimskleiva it’s about time to unload the bikes again and cycle to Myrkdalen. 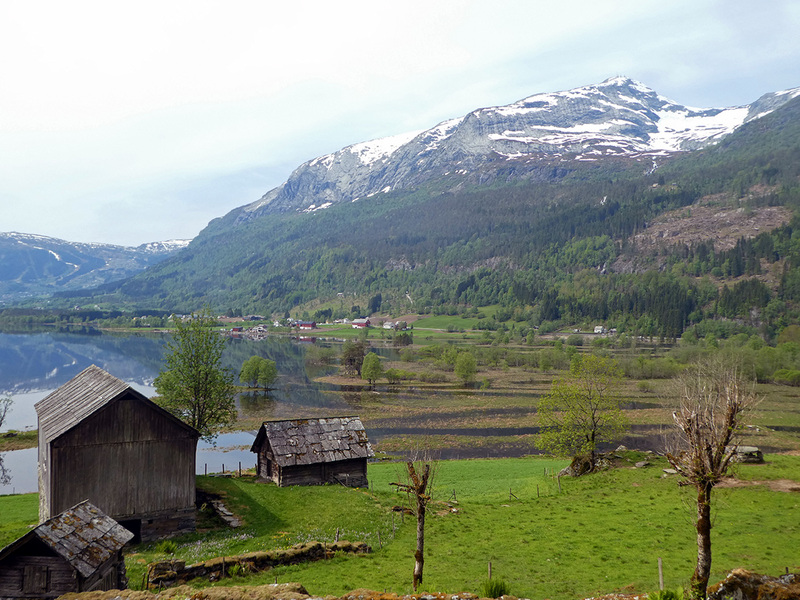 This is a mountain village and also the largest skiresort in western Norway. As the summer tourism hasn’t really started yet it’s pretty quiet around here and I love it. 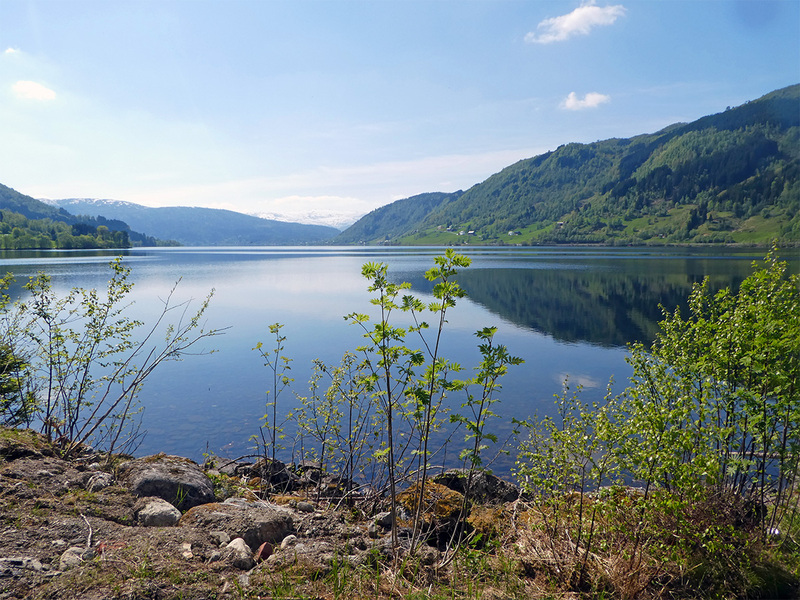 The road leads us past several lakes, such as Oppheimsvatnet and Myrkdalenvatnet. 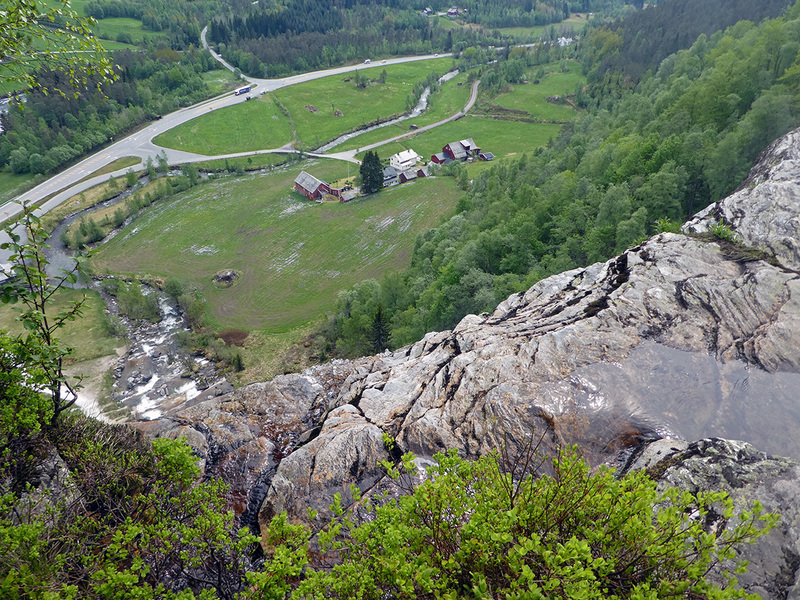 The last part is steeply up exhausted yet amazed I’m checking intoHotel Myrkdalen. The last bits of snow are still around, making is quite a spectacular experience. Today it’s really going to start because it’s time for some serious climbing. I trade my regular bike for an e-bike because in all honesty, I’m not used to cycling uphill so much. After breakfast we leave Myrkdalen on the northern side and about one hour later we arrive at the Vikafjellet mountain road, climbing up to 1.000 meters above sea level. After a few curves and bends I think I’ve made it to the top, but that’s not quite right as the climb continues onto a plateau. As it’s still early in the season there’s thick packs of snow all around me, which makes the landscape look even more special. There are a few cottages here and there but in general, the landscape looks incredibly quiet and abandoned. On top of the pass we take a break and Asgeir supplies us with coffee and snacks. On top of the mountain there’s the still frozen Skjellingavatnet. Some pieces of ice have already melted and some are still covered in snow. Soon after, the descent into Vikøyri starts. 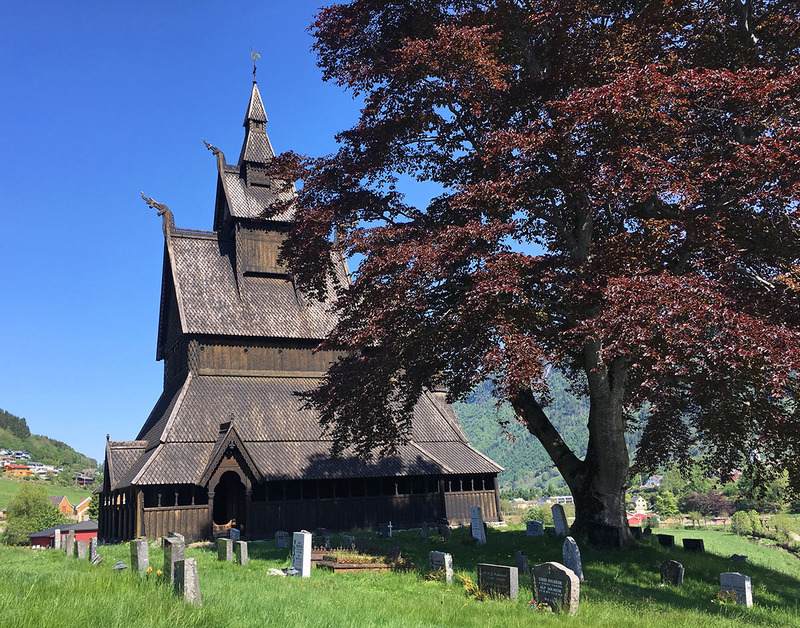 Here are three old churches that we will visit and as Vikøyri is on the waterfront, I have literally cycled from fjell to fjord today and we have arrived at the Sognefjord. 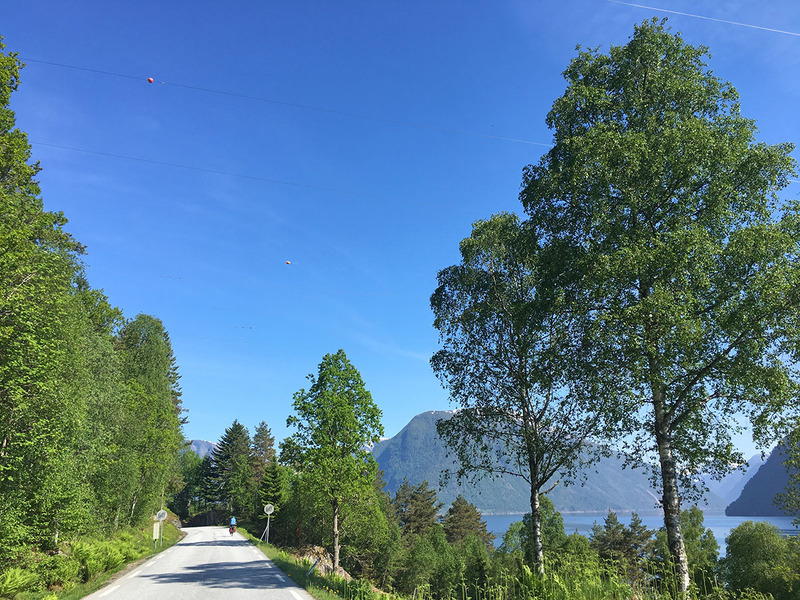 After a waterfront picknick lunch, we drive on a flat piece of road to Vangsnes, where we catch the ferry to Balestrand. We take the bikes onto the ferry and cross over to Dragsvik. 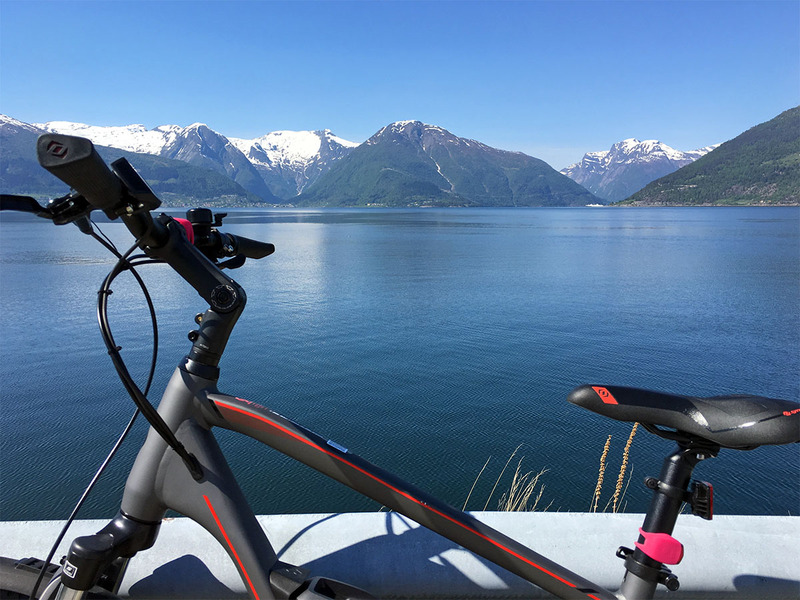 From here it’s about a 10 km ride to Balestrand. 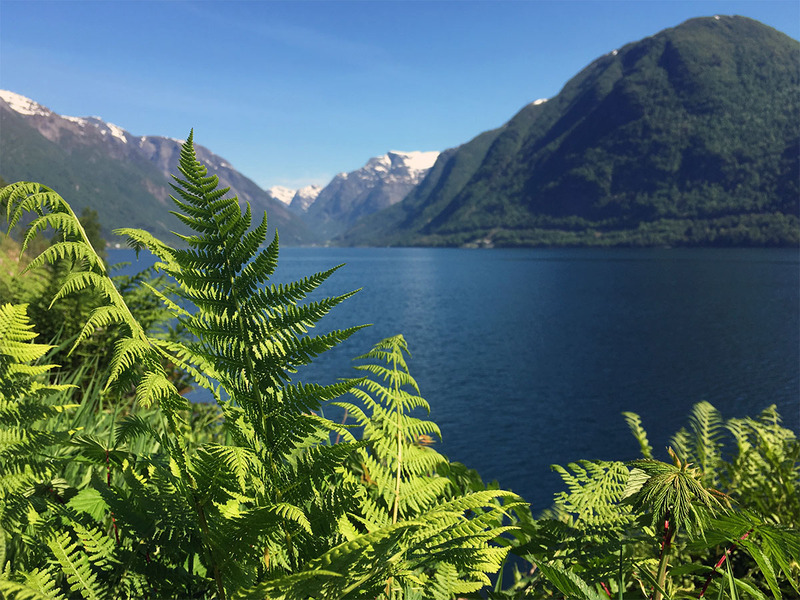 A very special 10 km because we have to get around a side arm of Sognefjord which turns out to be super amazing and beautiful. The snowcapped mountains are high above us and I literally have my mouth open upon arrival in Balestrand. It’s pretty damn gorgeous out here! Upon arrival in Balestrand we check into Kviknes Hotel, another unique place to stay. This hotel has a very special history and during a short tour, the owner shows us all kinds of old painting, pictures and more. The Kviknes Hotel is also known for its amazing buffets and I have to say that no less is true, it’s another great evening meal. 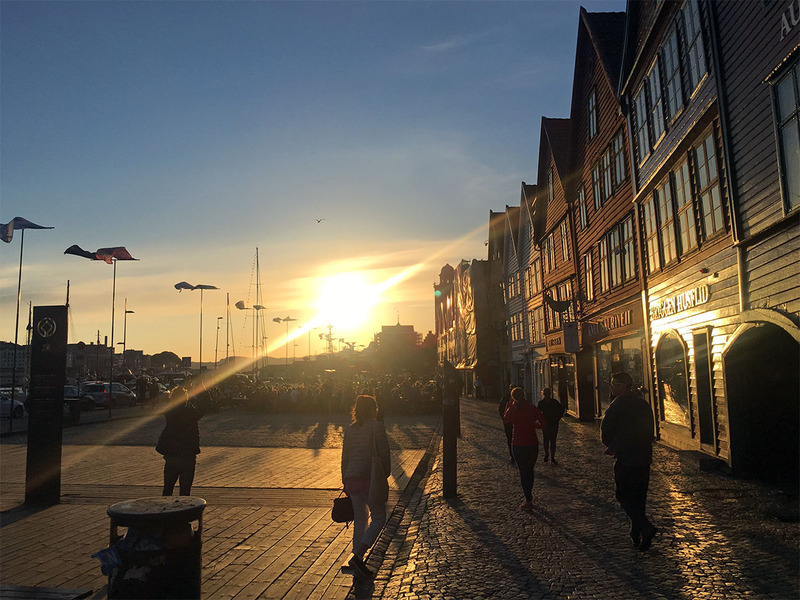 Just when you think it can’t get better, Norway has another beautiful day planned for you. 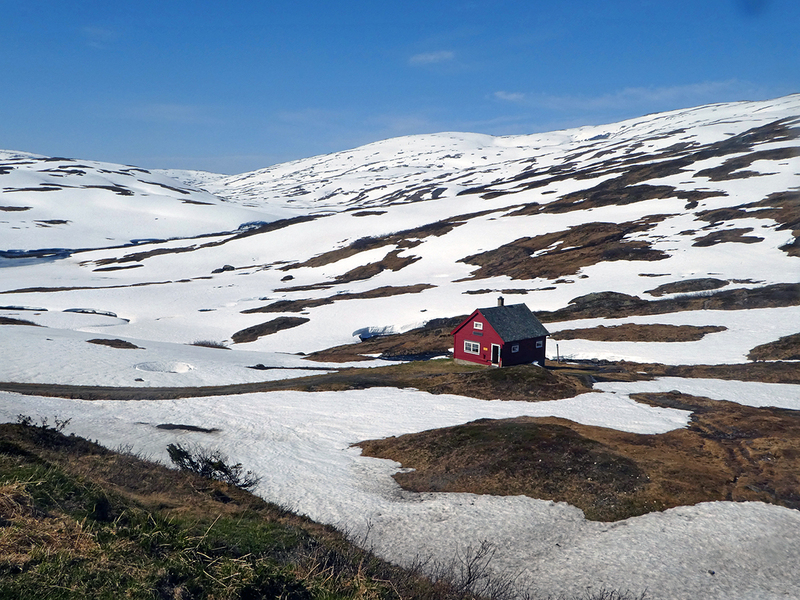 Today we cross another mountain pass, called Gaularfjellet. This one is relatively unknown and so I say ‘bring it on!’. 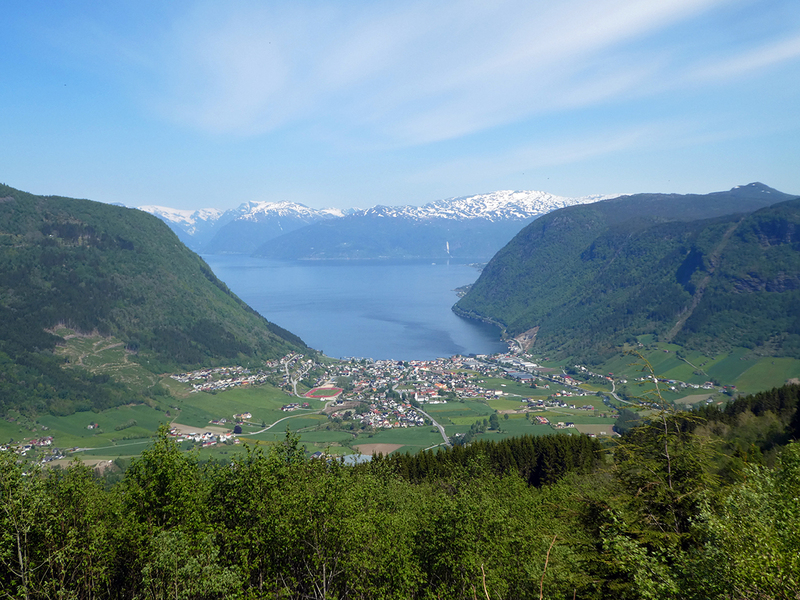 Before we are there, we first have so cycle along the Sognefjord and the smaller Vetlefjord. The route is pretty flat and so we have plenty of time for taking pictures. At the end of the fjord the climb starts, a tough one this time, with numerous bends and sharp climbs. Even with an e-bike it’s a pretty tough cookie. At about 700 meters there’s Utsikten, a modern building that offers a great view of the mountains and the surroundings. The tour over the top of the mountain is once again amazing. 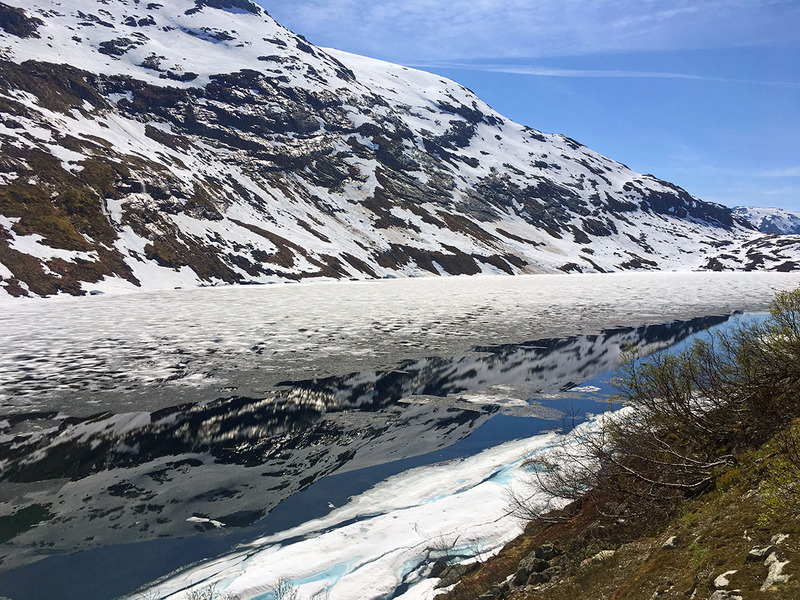 We cycle along frozen Nystølsvatnet and eventually we start our descent into Flatheim, the end of today. Once lower the world is getting green again and we stay at Flatheim Farm for the night, a small farm with super cute rooms. Another great place to stay! The last day on the bikes has arrived. Today Vidar has joined us, he represents the Sunnfjord region which we will cycle through today. 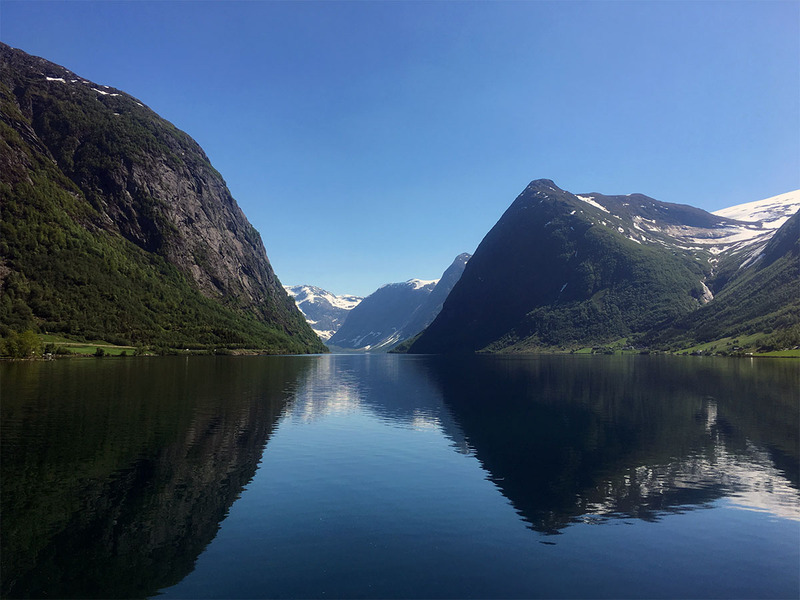 It’s relatively unknown but just as stunning at the well known parts of Fjord Norway. 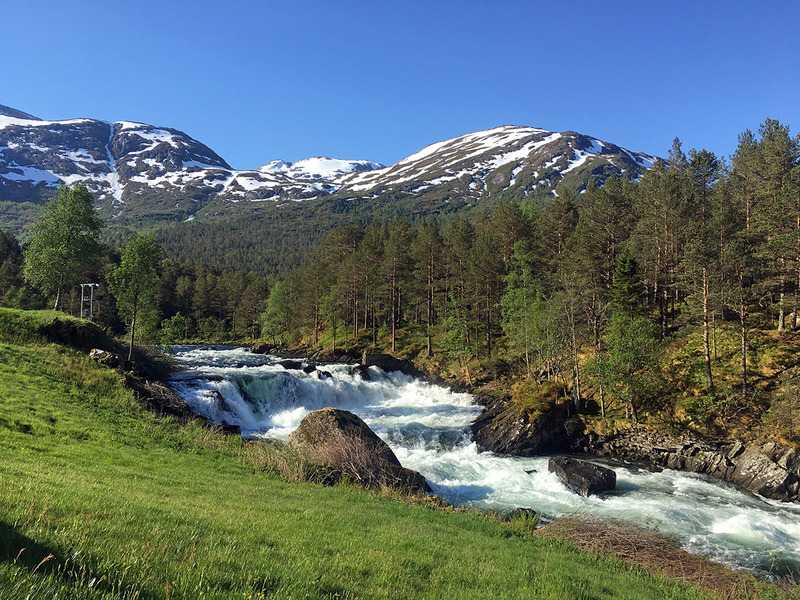 After leaving Flatheim behind we have a long descent, another climb to Rørvikfjellet with views of Haukedalsvatnet and some amazing waterfalls. On top of Rørvikfjellet we load the bikes into the van and drive toThon Hotel Jølster at the end of Jølstravatnet where we grab some lunch. After lunch it’s time to get back onto our bikes and cycle along the lake shore back to Vassenden. Along a bridge with gorgeous views that remind me of New Zealand we set the pace high and within a few hours we have reached Vassenden, where our bike tour has come to an end. From here we are transfered to Askvoll where to catch the boat back to Bergen. 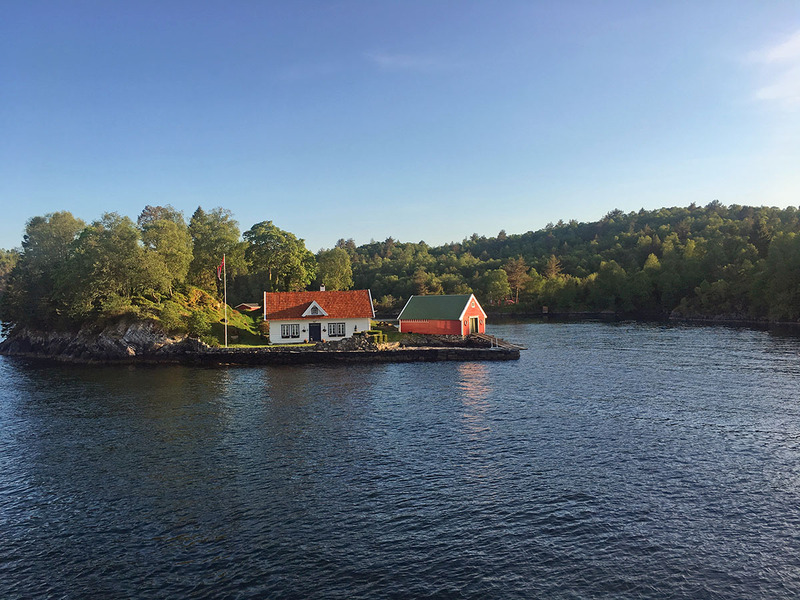 It’s a pretty spectacular ride on a boat without cars, just with mostly Norwegian people. Outside on the deck the evening sun is shining and it’s a gorgeous evening in the fjords. Upon arrival back in Bergen it’s time for dinner and a short night, as my flight back home to Holland leaves at 07.00 am the next morning. 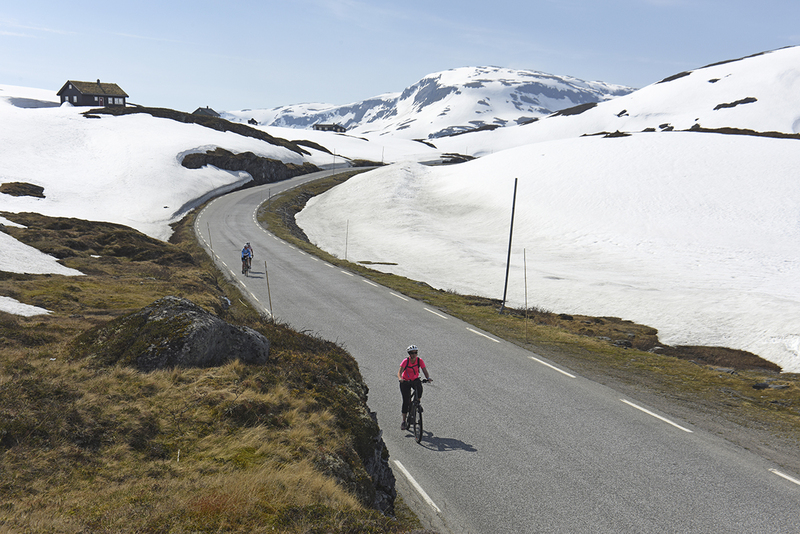 Want to go biking in Norway? 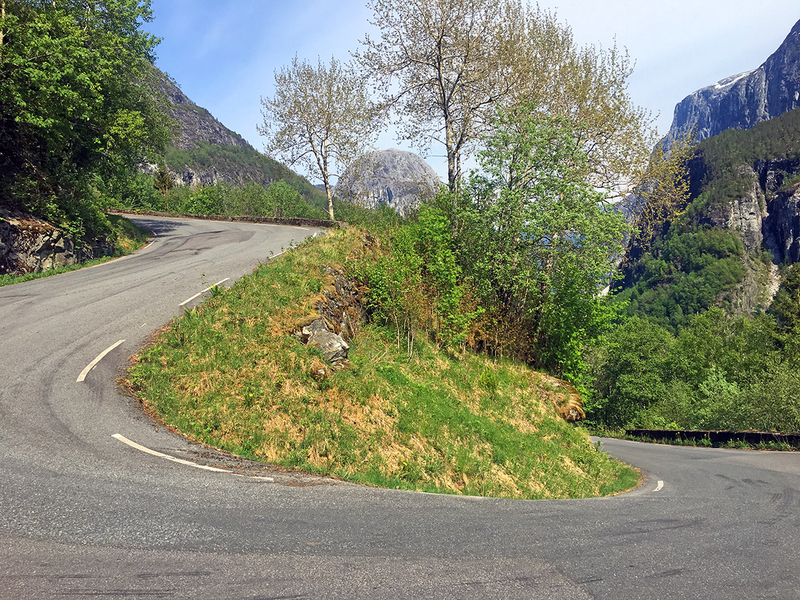 The route I cycled will most likely be offered by Bike the Fjords next year, maybe with some minor changes as we were testing it. Marta will gladly take care of your bookings and anything else you may need, from bike rental to luggage transport and overnight accommodation. 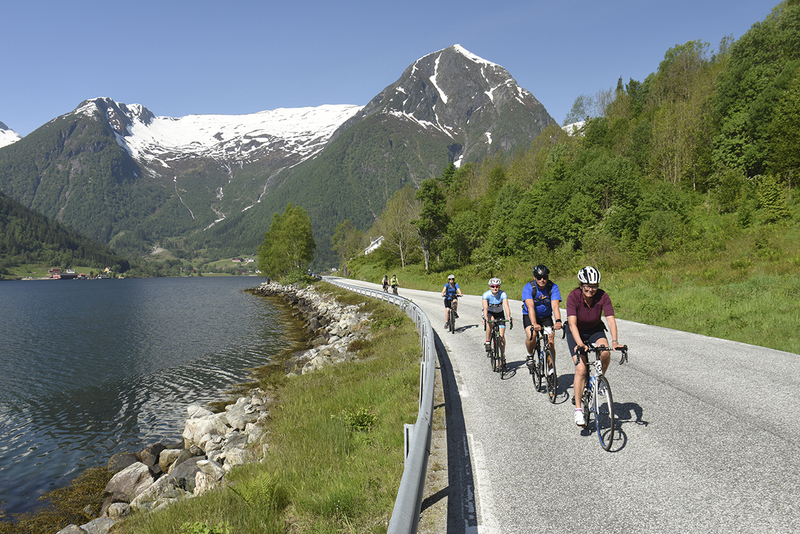 Take into consideration that biking in Norway is not very common and that on most places there are no biking lanes available. I therefor suggest to cycle outside the high season and skip July and August, to avoid dangerous situations on mountain roads. During our tour which I did at the end of May, we hardly saw anyone, no cars and definitely no other bikes. 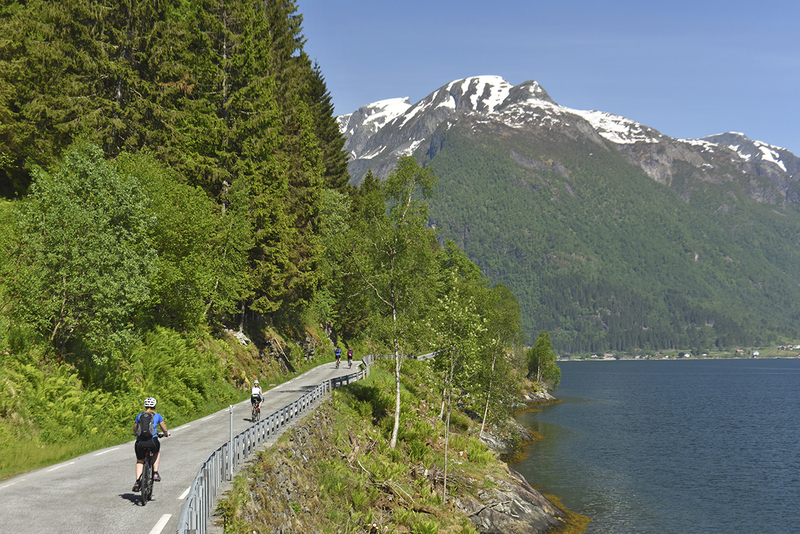 When biking in Norway you must wear a helmet and cycling under the influence of alcohol is not permitted. When cycling on the road keep the right and make sure to bring extra light sources for when the weather gets bad. Also make sure to wear bright clothing so you are well visible for other traffic. I also made a short video from my biking in Norway trip. In case you enjoyed viewing it, would you please give it a Thumbs Up on Youtube? 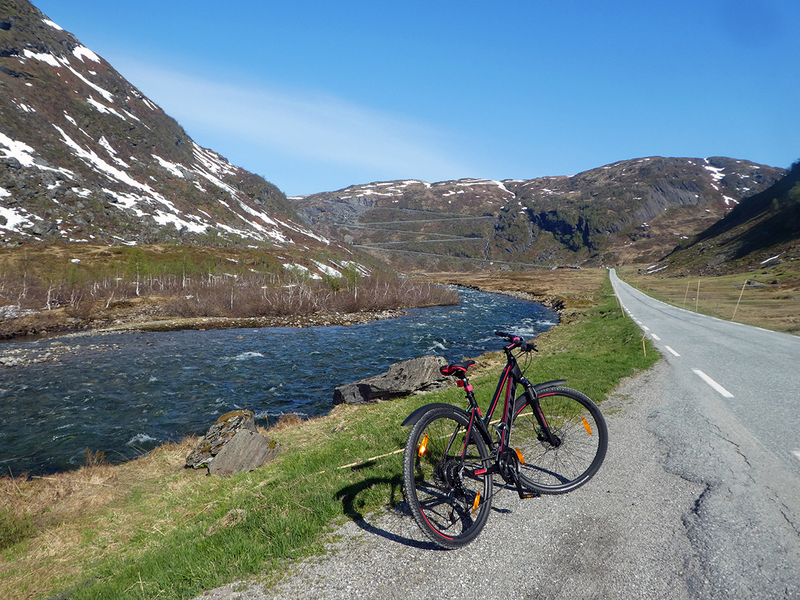 I hope you’ve enjoyed my blog about biking in Norway. 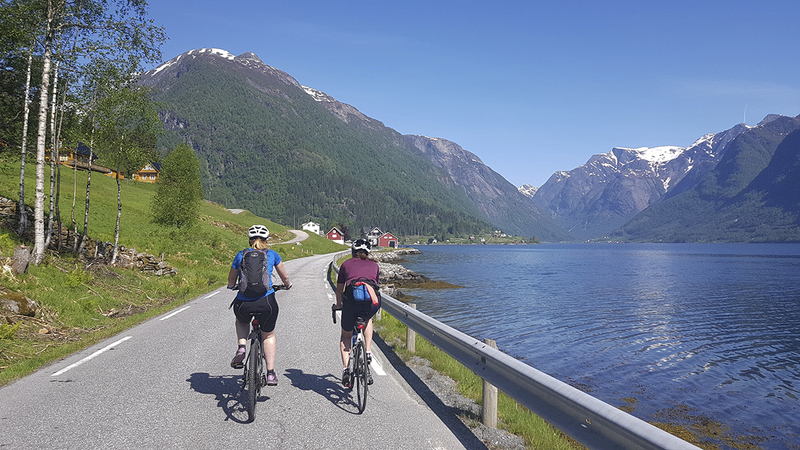 If you are interested in biking in Norway yourself, please feel free to get in touch with Marta of Bike the Fjords. – I was invited on this trip by Visit Norway. All opinions are entirely my own. 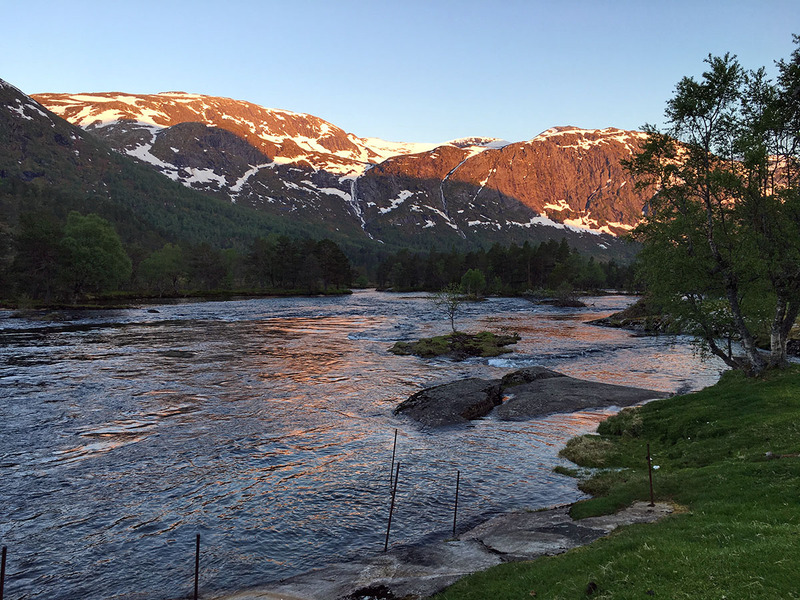 – The trip was also organised by Asgeir of Fjord Norway and Vidar of Visit Sunnfjord. – The pictures of me on my bike were made by journalist and photographer Thorsten Brönner. Check his website for more pictures!